Amy Poehler is an American actress and comedian best known for starring as Leslie Knope in Parks and Recreation (2009-2015), Baby Mama (2008), and Are You Here (2013). She was also a longtime cast member of the NBC comedy series Saturday Night Live (2001-2008). The Golden Globe, Critics’ Choice, and Primetime Emmy Award winner is also an excellent voice-over artist who has voiced characters in Inside Out (2015), Horton Hears a Who! (2008), and The Mighty B! (2008–2011). 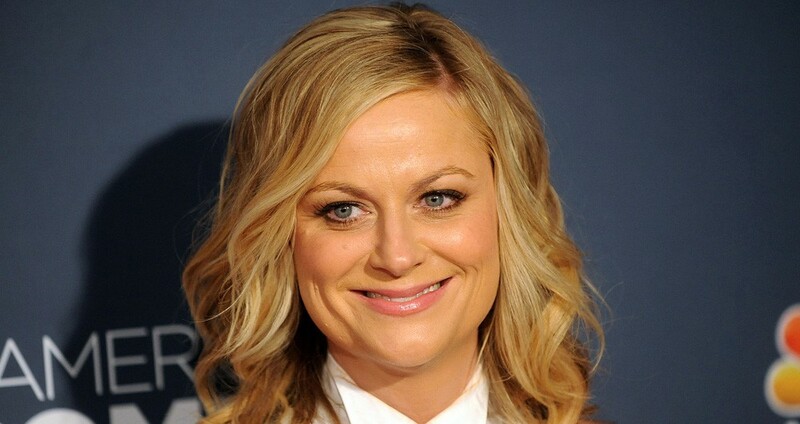 Amy Poehler was born on the 16th of September, 1971, in Newton, a suburb of Middlesex County in Massachusetts, to parents; Eileen and William Poehler who were both school teachers. She is of English, German, Irish, and Portuguese ancestry. She attended Burlington High School where she graduated from in 1989 before enrolling at Boston College. Here, Poehler joined the college’s improvisational comedy troupe called My Mother’s Fleabag. She graduated college in 1993 and following her experiences as a part of the troupe as well as her evident comedic talent, decided to pursue a career as a comedian. Poehler moved to Chicago to study improv at Second City and Improv Olympic comedy theaters after which she and a few others founded the professional improvisational comedy troupe called Upright Citizens Brigade which was at that time supposed to be based in the city. By 1996, the group decided to take their talents to New York where they found work appearing on Late Night with Conan O’Brien before later landing a permanent gig on Comedy Central in 1998. Having already found their feet in the big apple, the group decided to open an improv theatre where they held shows every night and also offered training to prospective improv students. In 2001, Amy Poehler was hired as a featured player in Saturday Night Live (SNL). Midway through her first season on the job, the producers of the show promoted her to be a full cast member, putting her among the likes of Eddie Murphy who made similar progress. The move was, even more, a testament to Poehler’s comedic ability as she became a fast-rising star in the industry. By 2008, she became the first-ever cast member of the show to be nominated for a Primetime Emmy Award. Despite taking on other on and off screen opportunities after 2008, such as Parks and Recreation (2009-2015), Poehler has continued to return to the SNL, most recently the 40th-anniversary show in 2015. Aside from working on Parks and Recreation for which she won a Golden Globe for Best Actress in a Television Series and further received multiple Emmy nominations in the acting, writing and producing categories, Poehler has worked on other projects such as A.C.O.D. (2013), Free Birds (2013), Welcome to Sweden (2014), and Sisters (2015). From 2013 to 2015, Amy Poehler and her longtime collaborator/former cast member on SNL, Tina Fey, co-hosted the Golden Globe Awards ceremony. In between that time, she published a memoir titled Yes Please. In recent times, Amy Poehler has been working to make her big screen directorial debut on a Netflix movie titled Wine Country which she will star in alongside Fey, Ana Gastayer, and Rachel Dratch. Amy Poehler was previously married to Canadian-American actor Will Arnett who has appeared in films like Blades of Glory (2007) with Poehler, and Teenage Mutant Ninja Turtles (2014) among many others. Arnett, who was born May 4, 1970, is also a comedian and prolific voice-over actor who has had roles in animations like Ratatouille (2007), Despicable Me (2010), and The Nut Job (2014). Poehler and Arnett got married on August 29, 2003, and were married for nine years before announcing their separation on September 6, 2012. Her husband went on to file for divorce on April 8, 2014, and after two years of litigation, it was finalized in July 2016. Together, the couple shares two sons: Archibald (Archie) who was born on the 25th of October 2008, and Abel, born on the 6th of August 2010.
Who is She Dating, Boyfriend? Following her separation from Arnett, Amy Poehler moved on to date actor Nick Kroll after which she began seeing Benjamin Graf who is an attorney at Merchant & Gould, New York. Graf and Poehler were said to have been friends for a while before deciding to become an item.